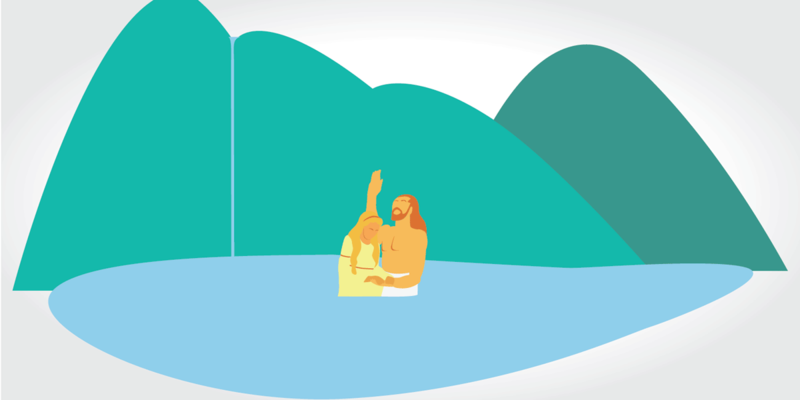 In Mosiah 18, Alma the Elder, who had been one of King Noah’s priests until being converted by Abinadi’s preaching, led a large group of people to be baptized in the “waters of Mormon.” Mosiah 18:1 says that Alma first “repented of his sins and iniquities,” and then “began to teach the words of Abinadi.” Those who believed his teachings went to a place called “Mormon,”1 where there was “a fountain of pure water” (vv. 4–5). From Mosiah 18 and other examples, it is clear that in the Book of Mormon baptism is a symbol for the covenant that mortals make with God.4 No other book of ancient scripture makes this point as clearly. 1. The later Book of Mormon prophet, Mormon, was named after this place (3 Nephi 5:12), as was his father (Mormon 1:5). 2. S. Kent Brown, “The Exodus Pattern in the Book of Mormon,” in From Jerusalem to Zarahemla: Literary and Historical Studies of the Book of Mormon (Provo, UT: BYU Religious Studies Center, 1998), 79–80, 92, n. 23. Alma asked the question, “what have you against being baptized in the name of the Lord?” (Mosiah 18:10). Alma may have intended his question to help his followers remember the covenant that God made with Israel at Mt. Sinai. Moses had accused the children of Israel of being “rebellious against the Lord” and His covenant (Deuteronomy 31:27), and that the Ten Commandments would stand as a "witness against [the people]" (v. 26). Like Moses, Alma was helping his people enter into a sacred covenant with the Lord. By asking his question, he may have been subtly inviting them to not repeat the sins of their forefathers, to not rebel against a covenant of the Lord and its associated commandments. 3. Matthew L. Bowen, “‘Most Desirable above All Things’: Onomastic Play on Mary and Mormon in the Book of Mormon,” Interpreter: A Journal of Mormon Scripture 13 (2015): 27. 4. Noel B. Reynolds, “Understanding Christian Baptism through the Book of Mormon,” BYU Studies Quarterly 51, no. 2 (2012): 5. 5. D. Kelly Ogden and Andrew C. Skinner, Verse by Verse: The Book of Mormon, Volume 1: 1 Nephi through Alma 29 (Salt Lake City, UT: Deseret Book, 2011), 362.